 Whether we’re giving back through initiatives like Fuel the Schools or just cruising around in a swanky new Ford, Team Ford loves being a part of the community. Lately, we’ve been looking for a way to spread the good word of the Ford, but in a way that felt right to us. We wanted something that clicked, something that spoke to us, something that sung! So a couple of us hopped behind the wheel of an F-150 XLT and took to the streets, hoping to find motivation in the city, when it hit us (well, not literally). It had been right in front of our eyes the entire time—or better yet, right in our ears—the radio! Seriously, what goes together better than driving and the radio? It’s like peanut butter and jelly, macaroni and cheese, or burgers and beer (apparently we were also hungry when we had this epiphany). So in a bizarre, Goldilocks-esque scenario, we pulled over into a parking lot and used the Ford SYNC® 3 infotainment system to wander through the radio stations. Hmm, the heavy metal station was too hard. Elevator muzak, too soft. Finally, they shooed me away and took control, changing the station to up! 99.3 FM (and boy, was my face red once I realized what they meant). The music they played was just right! For two minutes and forty-five seconds, Jimmy Buffett had me in paradise. Then Bobby McFerrin came on and I wasn’t worried—I was happy. A little Red Hot Chili Peppers came on and I started grooving to the bassline, despite my George Michael telling me five minutes before that I might never dance again. The range of emotion I felt, well, let’s just say I knew exactly what radio station we needed to team up with. A few phone calls later and it was a done deal. The good folks from up! told us to pick the vehicle, and we went with the F-150 XLT. From there, the Team Ford and up! 99.3 FM pick-up! was born. If you love trucks, great music, and listening to great music in trucks, then the Team Ford and up! 99.3 FM pick-up! is for you. The up! 99.3 FM website might be for you as well (they always have a great contest or two on the go). So turn those dials to 99.3 up! FM for all the best music when you’re driving. Should you spot the crew from 99.3 up! FM on the road, make sure and give them a wave when you see them drive by. 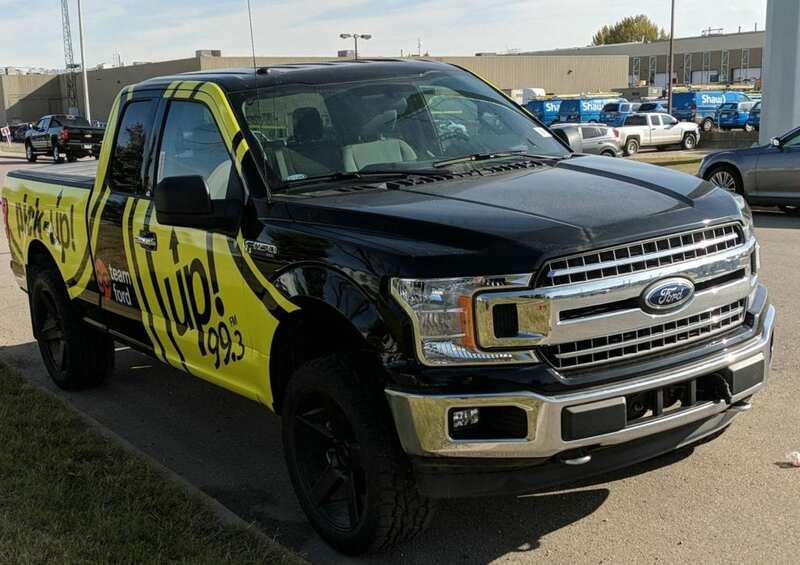 This is Team Ford —Edmonton’s favourite Ford dealer— signing off, and reminding you to keep your eyes on the road, your hands on the wheel, and your station set to 99.3 up! FM.